Most health and wellness programs offer a comprehensive suite of wellness options and activities. But there are a few wellness companies that don’t offer all these services. They may offer just corporate nutrition programs, campaigns, portals, incentives, massages, stress management, or just offer wellness management services. Earlier I published a massive blog called 58 Wellness Solutions: The Complete List of Workplace Wellness Programs which describes every existing wellness program that claims to offer comprehensive services. Not every wellness company has comprehensive solutions. For example, a lot of companies offer just corporate fitness activities. Here is a complete list of all the wellness companies that specialize in corporate fitness. And here are lists of the top biometric screening companies and the top health coaching companies. As the WellSteps team researched the different wellness companies, there were many that did not fit into any of these categories. These companies create a list of health and wellness programs that have a different purpose. Here is the complete list of health and wellness programs that offer these specific types of services. Branch to Box is a family of farmers that send fresh fruit & healthy snacks to offices. Each week is a new box – packed full of the best fruit in season, and the tastiest snacks from nature. Branch to Box’s subscription based program allows you to create a wellness solution that fits your workplace. Simply select the box size, delivery day, and frequency – and get wellness delivered! Deliveries also include servings of healthy snacks like dried fruits, roasted nuts, and savory trail mixes. Looking for an easy way to offer healthy snacks at your office? Try Branch to Box today and use code FRESH10 for 10% off your first box. Employee nutrition is vital for enhancing the productivity of a work environment. Company Kitchen offers an array of worksite weightloss programs which involve providing corporate nutrition and food services to the cafeterias and break rooms within an organization. Company Kitchen can also track the nutritional health of each employee and then provide their company’s Human Resources Department with information about each employee’s current state of health. By utilizing the latest technology and software, Company Kitchen is able to keep updated information about the health of each employee within an organization. And if someone’s health is poor due to bad nutrition, then healthier foods and diet plans will be recommended to them. Diettogo believes that employee nutrition is essential for the productivity and success of a company. For years, Diettogo has developed worksite weightloss programs which have helped numerous employees throughout the country lose weight and stay in shape. Statistics have shown that companies incur billions of dollars in medical expenses each year because of their overweight employees. Diettogo works to fix this problem by introducing a corporate nutrition program to clients that teach their employees how to eat properly and stay consistent with their nutrition. Employee nutrition is all about supplying them with portion-controlled meals that are healthy and beneficial to their physical health. After a while, they’ll start to feel better, have more energy, and work harder at their job. At the same time, their employers will save money on medical expenses and profit more from the increased productivity. 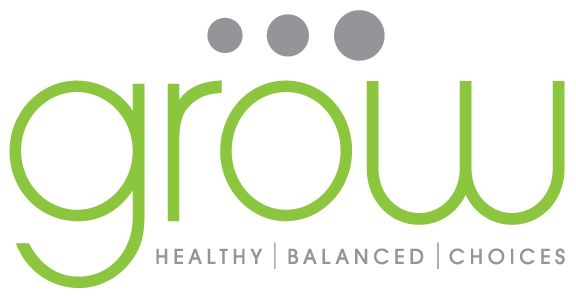 Grow is a corporate nutrition company which is comprised of a team of health and nutrition experts who strive to help change the way employees eat. Companies hire Grow to help them integrate healthier food options into their organization for their employees to take advantage of. This includes the revolutionary G3 Healthy Vending Machine which is a special vending machine that contains only healthy food snacks, rather than the typical junk food snacks you’d find in other vending machines. That way, employee nutrition can be sustained within the organization at all levels. Micro markets can also be introduced to enhance this experience as well. Healthy Markets utilizes the “HUMAN” Healthy Micro Market Program in order to enhance employee nutrition in the workplace. HUMAN is an acronym that stands for “Helping Unite Mankind and Nutrition,” which is a corporate nutrition platform that has won numerous awards. By integrating this platform into an organization, it will introduce healthy micro markets and healthy vending machines for employees to take advantage of. That way, employees have easier and more convenient access to healthier snacks and meals instead of all the junk food snacks that are found in traditional vending machines and markets. Healthy Markets has spread across the United States, Canada, and Puerto Rico. SnackNation helps people become better versions of themselves by supporting increased health, productivity, and happiness, both in the workplace and at home. The company curates and delivers great tasting snacks to thousands of awesome offices – places like Microsoft, Open Table, LinkedIn, and The Huffington Post. SnackNation members receive unprecedented access to the best tasting healthier snacks from the world’s foremost emerging natural food brands, and discover new healthier snack favorites before any of their friends. This unmatched snacking experience is also available for the home via SnackNation Market. SnackNation has donated more than two million meals to families in need through a partnership with Feeding America since launching in 2015. Health Management Systems is a wellbeing company which creates some of the best incentive programs for employees at their workplace. Since 1992, HES has developed wellness programs in the workplace for hospitals, nonprofit organizations, government agencies, corporations, educational institutions, and other businesses. Not only have their health and wellness programs improved the lives of American workers, but they’ve also spread their employee wellness programs examples to countries in Africa, Asia, and Europe as well. HES helps enhance all areas of employee health including stress, weight, nutrition, and fitness. Healthbreak is a wellbeing company founded back in 1990. Over the last 25 years, they’ve become the nation’s leading provider of wellness programs in the workplace. They produce the very best incentive programs for employees which enable them to change their behaviors and embrace a wellness lifestyle where they make healthier choices for themselves. At the same time, it reduces the healthcare costs that employers generally have to pay as a result of their employees living unhealthy lifestyles. Therefore, Healthbreak’s health and wellness programs are a win-win for both the employees and their employers. Healthbreak is based in Golden, Colorado and has a regional office in Omaha, Nebraska. Their goal is to create a culture of wellness in the workplace for all employees. MediKeeper supplies technology that allows wellness companies, health plans, benefit providers, and employers to design their own customized wellness portals for managing the health of their employees and clients. Any corporate administrator would love the technology services which MediKeeper provides because they can now make sure the wellness programs that they’re investing in are truly paying off for them. The three main programs that MediKeeper offers are the Enterprise Health Portal, the Customizable Wellness Portal and the Health Risk Assessment. With these programs at hand, clients can keep all the content and data of their employee wellness programs together in one area. IncentaHealth has one primary goal for its health and wellness programs: help at least 100 million people change their lives by eating healthier and being more active. That way, the obesity epidemic that’s taken over the country can finally be put under control. As a wellbeing company, they work with companies and their employees to reduce obesity by having them take part in some of the best incentive programs for employees you’ve ever see. These incentives are different than what you may find in another wellbeing company. Instead of just getting the incentive to lose weight, incentaHealth actually pays participants based on their performance level in their health and wellness programs. The better they do, the bigger their reward. LifeDojo is all about creating the best incentive programs for employees so they can eventually feel motivated to lead a healthier lifestyle on their own. First, this will require them to participate in wellness programs in the workplace that are both engaging and scientific. Over time, it will change the habit of the employees from a self-destructive one to a healthy living one. Some of the health and wellness programs promoted by LifeDojo in the workplace include exercise, healthy eating, stress reduction techniques, and resilience increasing techniques. Employees will also be taught the importance of sleeping, stopping tobacco use, and taking control of their finances. Wellness Jackpot was founded in 1951 as a mere wellness incentive company for employees. Today they offer some of the best incentive programs for employees in the industry. One of their biggest health and wellness programs is the “Safety Jackpot,” a top performing safety program that is used worldwide. Employees in more than 11 countries have used wellness programs in the workplace that were created by Wellness Jackpot. They even have an online system where employees can be engaged in bettering their health through interactive educational tools and mobile health trackers. Major companies that have used Wellness Jackpot’s products include Kraft, Rexam, DoubleTree, and 3M. Massage at Work is a unique kind of wellbeing company that emphasizes the use of massage chairs into their health and wellness programs. Companies hire Massage at Work to install their chairs into the work environment so that employees can use them. Massage chairs have been found to reduce stress, increase blood circulation, and reduce back and neck pain. Most wellness programs in the workplace will save companies around $5 for every $1 investment they make into them. With the massage chairs by Massage at Work, companies will save even more money with their investment because these chairs just keep satisfying employees over and over again. They’ll be much more comfortable and productive throughout the rest of their work day. HealthForce helps employers build and maintain a healthy workforce. We deliver health information, expert advice and professional services where and when needed. They provide online management of job-based health questionnaires, physical exams and medical clearances for onboarding, regulatory compliance and return-to-work. Orchestrate from your desktop. Physician HealthLine™. Employees get telephone and e-mail access to doctors 24/7/365 for exposure to workplace risks. The Wellness Challenge® is a criteria based wellness strategy that engages employee’s long-term and foster’s total well-being. Employers can also get staffing and management of worksite health clinics and on-demand delivery of health testing, screening and examination services at the worksite. McCahill Wellness specializes in designing health and wellness programs which are customized to meet the needs of each individual company’s employees. The best incentive programs for employees are the ones that are customized specifically for them. Through wellness management, wellness consulting, and corporate fitness management, McCahill Wellness is a top wellbeing company that will ensure your employees improve their nutrition and fitness. A dedicated wellness specialist is assigned to each client and spends between 5 to 40 hours per week helping them improve the wellness of their employees. Founded in 2001, MindBody is a software company that creates business management software which caters specifically to clients of the wellness services industry. MindBody does not create health and wellness programs or wellness programs in the workplace. Instead, they will provide online business management software to a wellbeing company that offers these types of services. The software is cloud-based, which means the software data is easily accessible to anyone given privileged access to the account. MindBody currently has roughly 35 million people using their cloud-based software in over 130 countries throughout the world. Corporate wellness programs in the workplace can be effective if they are management properly. Based in Allouez, Wisconsin, myinertia is a health consultant company which creates wellness management software that can track all the health and wellness programs of a company. Employees get access to an online platform that allows them to track their level of participation in a company’s wellness activities. If they do well, they’ll earn points on their account which can eventually reward them with higher achievement levels. Employers will receive a customizable template for the online system which they can structure in a way that is suitable for the wellness programs in the workplace they are using. OnSite Wellness was founded 22 years ago by Amy Ritsema and Mary Kline. Because they understand the importance of employee wellness, they have created wellness programs in the workplace that have improved productivity for many companies. Their customized health and wellness programs are designed to not only improve employee health, but to support the business strategies of the employer as well. OnSite Wellness is a wellbeing company that provides coaching and consulting services for areas such as tobacco cessation, stress management, nutrition, physical health, exercise, and more. Spire introduces wellness programs in the workplace in order to help employees become healthier. Spire will help your employees become more engaged in their healthcare while reducing the healthcare costs you have to pay for them. Ultimately, Spire will transform your workforce into one that is happier, healthier, and more productive. Spire was founded in Chattanooga, Tennessee by a group of former soccer players. Their idea was to figure out a way to not only bring rewards, motivation, and support to those participating on sports teams, but to also bring these concepts to employees in the workplace as well. Christina Ford and Martha Switzer created Sprout after working for big multinational corporations for years and seeing their lack of wellness programs in the workplace. They found that employees too often didn’t have a balance between work and life, so they decided to create this wellbeing company to assist other companies in achieving this balance. As a result, they’ve produced some of the best incentive programs for employees in the industry. Now more employees have the knowledge and resources necessary to live healthy and productive lifestyles. In addition, Sprout gives employers the tools to measure the impact that these health and wellness programs are having on their employees. Vital Management was created by wellness and corporate fitness professionals who are experienced in creating health and wellness programs for businesses and individuals. Vital management is a wellbeing company that is known all around the world for the work they do for corporations and their employees. It isn’t enough for employers to just pay for their employees’ gym memberships. They need to have wellness programs in the workplace which teach employees how to make the right kind of nutritional and exercise changes to their lifestyle so they can be more energetic and happy. In addition, their employers will be happy because this positivity will reflect on their work performance. WellnessPlus is based in Jackson, Mississippi. They are a health consulting and wellbeing company which creates health and wellness programs to benefit employees within an organization. By finding connections between what it takes to make meaningful change and the risk factors involved with that change, WellnessPlus is able to create the best incentive programs for employees to change their behavior toward a healthier lifestyle. Not only does WellnessPlus teach employees about nutrition and fitness, but they also provide biometric screenings and progress reports on their current health status. That way, employee achievements can be calculated as well as the employer’s return on investment. WellNow helps employers implement wellness programs in the workplace that are based on data-driven insight and strategies towards employee wellness. 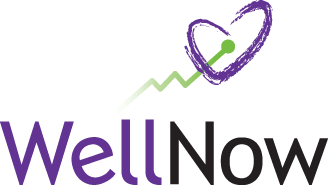 WellNow will first offer a health assessment on the employees and then create custom health and wellness programs that are suitable for their particular health issues. WellNow can also provide disease management services in case the organization in question has a disease problem. Otherwise, WellNow’s wellness programs in the workplace will revolve around enhancing the physical and mental health of the employees so they can change their behavior and make healthier lifestyle choices on their own. SelfHelpWorks, established in 1999, specializes in helping employees eliminate stubborn, emotionally rooted habits that don’t respond well to standard behavior modification techniques. The company’s video-based cognitive behavioral training interventions do the “heavy lifting” for wellness teams, digging deep to break down the mental roadblocks that make it so hard to give up emotionally addictive behaviors. Use them either as a stand-alone or to turbocharge the efficacy of live or telephonic health coaching. Interventions include obesity and unhealthy eating, smoking, stress, inactivity, alcohol abuse, poor sleep and diabetes. They are engaging, effective and low-cost. Most importantly, employees love them! Stress management is becoming a more crucial resource for companies. If employees are too stressed, it can be detrimental to the productivity of a company. StressStop was created to deliver an array of stress management resources to companies that are currently having this problem with their employees. Furthermore, StressStop will ensure these stress management resources pertain to the culture and atmosphere of the company that needs them. Instead of just delivering new age materials that don’t pertain to every company, StressStop has materials which contain the latest psychological and medical information that can help different kinds of individuals reduce their stress levels in the workplace. Retrofit transforms lives, workplaces and communities by offering weight-management and disease-prevention solutions that help all populations live a happier, healthier life. What sets Retrofit apart from others is the level of personalization we bring to our suite of solutions that tackle obesity, diabetes and metabolic syndrome. This personalization delivers real-time interventions that evolve as individual needs evolve, producing proven outcomes and lasting results. In fact 88 percent of Retrofit clients lose weight and 78 percent keep it off 12 months later. To learn more, visit retrofitme.com. Hi Steve – I would love to add LeanBox to the list of corporate nutrition companies. We go beyond healthy snacks and are trying to change the way how employees eat at work breakfast, lunch, or dinner!